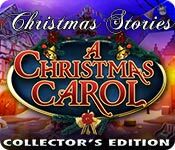 Christmas Stories: A Christmas Carol Collector's Edition is rated 4.5 out of 5 by 118. Rated 5 out of 5 by J9CT from Excellent Christmas Game!!!!! I played this game early last year and played it again now over the xmas period and I love it. 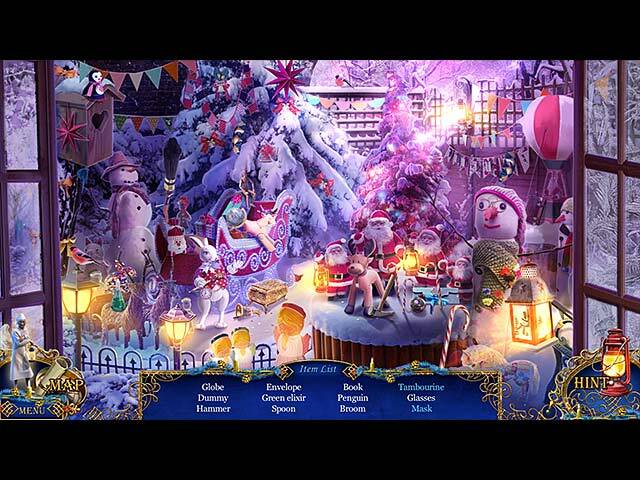 Good stuffs: Beautiful graphics and music Beautiful xmas theme Can choose your modes Morphing objects not that easy to spot which is a good thing Puzzles and HOS range from easy to difficult and are lots of fun. You can assist Scrooge to make changes to his past, present and future unlike the original story where he is just an observer. Doing good deeds to help others Bonus game takes place in the secret cat world where scrooge is a cat. It is not a repeat of the main game, you are helping to find santa and save xmas. Bad stuff: Didn't find anything bad, just hope the developers keep the good xmas games coming. I'd recommend playing this game mid-year as well, it will definitely cheer one up while you wait for the xmas season. Rated 5 out of 5 by Ohanes from Christmas isn't Christmas without Christmas Stories! This is my all time favourite game! It has EVERYTHING! The story is exciting, the graphics and visuals are beyond amazing and the music is magical! This game has the magic Christmas spirit and shows what Christmas really is about; giving & caring! This game is the best Christmas Gift ;) Merry Christmas! Rated 5 out of 5 by sinenomine_lj from One of the best games ever This is very, very well done. I highly recommend. Rated 5 out of 5 by bep1 from Very Good Christmas Game I would like to give this 41/2 stars really. It is very high quality, and lovely and Christmassy, but it didn't grab me. I think the bonus game grabbed me a little more than the main game. I found the overabundance of puzzles, though very original and entertaining, a little tedious. and wasn't crazy about Scrooge's two spirits helping. But as I said , it was a good game and I recommend it. Rated 5 out of 5 by xhelenabasketx from I liked it SO much that I bought it TWICE I bought the standard version first but liked the sound track so much I went ahead and bought the Collectors Edition just for the bonus material. Excellent graphics and storyline. Again, the soundtrack was exceptional. I just loved it. Rated 5 out of 5 by BirdLover89 from Magic! I thoroughly enjoyed this Christmas game! The scenery, the story, all the cute animals and all the beautiful scenery were fantastic! The bonus game with all the cats was so cute. What's even better is it is a nice long game which is very good. This game is a winner. I did have a lot of problem getting the Tiny Tim amulet to work, but I kept working, and it finally just fell into place. I highly recommend this game. Thank you game makers for a well done job! Rated 5 out of 5 by fehrplay from Beautiful classic Christmas story... 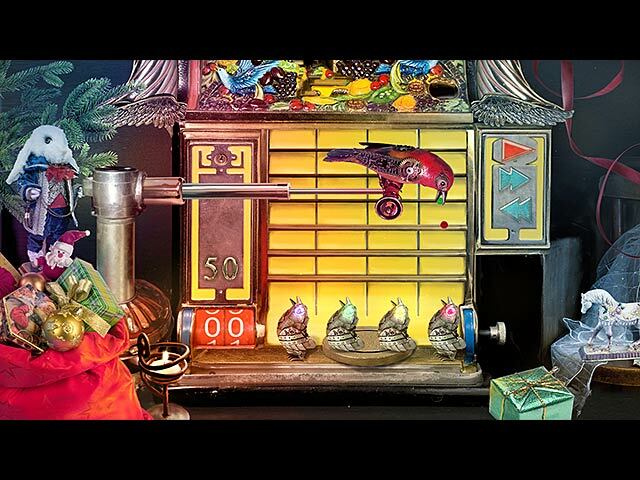 I love Christmas Carol movie with Jim Carey and this game is incredible. Story is change little bit but still we have past, present and future segment. HOP are one of the best i ever seen, very detailed and beautifully animated. Of each scene smells christmas atmosphere. Soundtrack is also great and fits in game. Gameplay is fun a not unduly hard. Overall is this one of the best Elephant games, finally something what deserve five stars! Visually stunning! Rated 5 out of 5 by FrancisMay from Christmas Stunner - This is worth buying :-) Just finished the main game and will be playing the bonus to extend the joy. Review based on main game for both SE and CE players: The CE is a a long game - started just before Christmas and finished it now over several weeks. The graphics are stunning - bright, cheerful, and cute (especially the Warrior Cats). Once again, the creative artists at Elephant Games deserve congratulations. The 3D effects were brilliant. Music is a key element of games for me. In this game it was beautiful and sweet, although for some reason it stopped after a while and did not resume (I did not manually turn this off) - going back and forth helped the music 'switch on' again. I would have liked the music to be more continuous. I especially liked the carolers when they didn't have all of their sheet music - making up the words to 'Silent Night' was funny, but they were in perfect form once they had their full music (really put me in the mood for my own singing!). I'll have to revisit the credits to find out who the singers were and other music acknowledgements. Game complexity - this game is not hard - I did not use the Strategy Guide at all, but did have to use the hints a fair bit as it was sometimes difficult to know where to go next. I found that this game tested my memory and improved my brain/thinking skills overall - the minigames, puzzles, and remembering which scenes had what clues. Another important element of a game is: does it make you think rather than go through endless mindless HO scenes - which it did. There was a good balance of intelligent HO scenes and other puzzles. Storyline - in a nutshell: sweet and feel-good. I especially loved the good deeds element, saving Tim's life, rescuing the girl in the snow, providing food, and turning Scrooge's life around for the better - it encouraged more feelings of compassion and peace, which is what our world really needs now in this new year. So, if you are wondering whether this is just a colourful cute game for children and too sugary for you - well, yes, it can be those things, but it is a decent game and a sweet collectable which is worth having. It is not too kiddy, but done in a sophisticated, artistic, movie-like manner appealing to various audiences. It has action, romance, history, art, and twists to hold your interest. It will leave you feeling good about what life can be, and that it is never too late for good to win over evil. More games like this please Elephant Games!! Rated 5 out of 5 by luvmy3bigboyz from What's not to love in this series?!??! 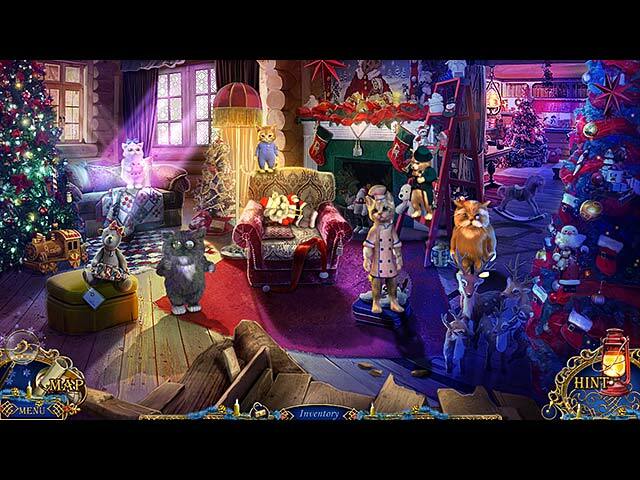 Another great game in the Christmas stories series, following the Nutcracker. Scrooge gets another chance to get things right with a little help from you and you get a present in itself in this gift of a game--lots of interaction, smooth, and beautiful, festive graphics, lovely Christmas music to accompany--what more can you ask for in a game! My Christmas wish is for more games with this fun and flavor -- no dark magic, just fun holiday magic!